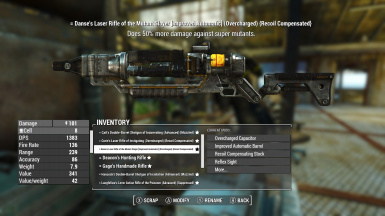 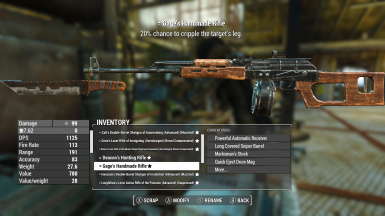 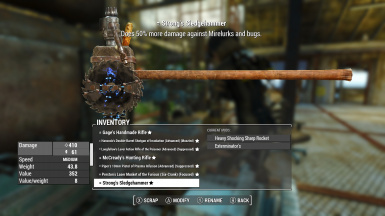 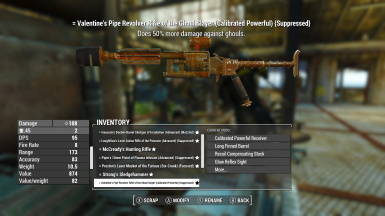 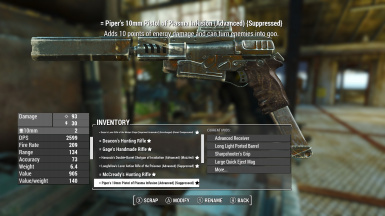 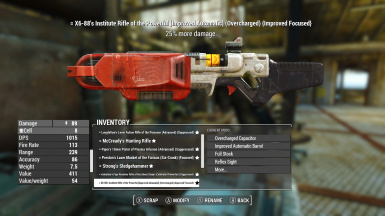 Simple mod to allow you to customize the companions default weapon. 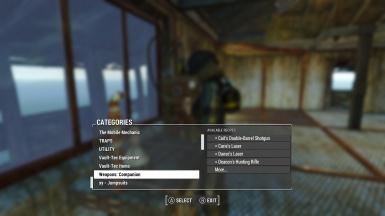 An automatic invisible quest gives the companions the same "no use ammo" keyword that the settlers use. 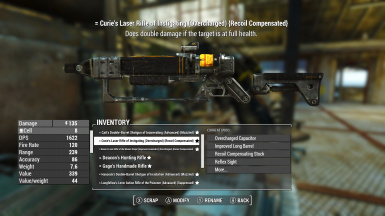 This was done to correct the use of ammo by making their weapons customizable. 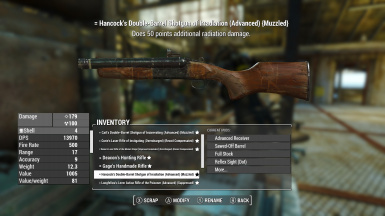 The weapons stats are not altered, only changed some settings to allow customization at the weapons workbench. The weapon are not "usable" to the player, they use the companion ammo types. 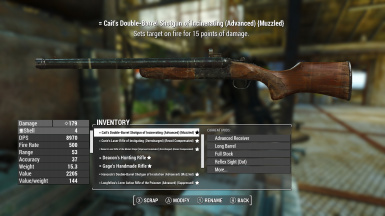 Recommended not to change ammo type at the workbench.